The best offense is a good defense. Hand-to-hand combat is nice, but what can your opponent do when you're impossible to reach? Neopian Battlefield Legends is the Neopian addition to the growing trend of 'Tower Defense Games'. Unlike other games which require you to fight other people and storm castles, Tower Defense games reverse it a little, putting you in charge of defending something. 'Towers' don't even really have to be castle towers, so long as they are upgradable and do the job. Battlefield Legends puts you in the middle of some of the most famous battles in Neopian history and gives you a selection of weaponized castle towers with which to defend your turf. There is great bounty to be had from this game, and great glory to those who are effective at what they do. First things first. Raiders will take a path from one side of the screen to the other. This path can be altered and moved around by the placement of towers. No matter where the towers move the path, the path always connects to the same two places on the screen. Depending on your faction, one of the sides will be your turf and the other will be the spawn point. Enemies will emerge from this spawn point in groups during a round. They'll try to get to your turf, and if one does enter your turf, you lose health. The game ends when all your health is lost or when you complete all the rounds. When a round begins, a small group will emerge from their spawn point. The enemies in this game vary, but a round is generally made up of a single type of enemy. For instance, Drackonacks. Some rounds release a character who attacks your towers, but otherwise the enemies in a round are all the same. To keep these guys out of your turf, you buy towers with in-game currency. Defeating an enemy earns you a certain amount of money, depending on the enemy, and that money can be used to place more towers or upgrade existing ones. Each tower can be upgraded three times, after which it is at maximum. An upgraded tower has an increase range and power, allowing it to hit more enemies for more damage. It is very important that you know your towers. Five towers are available at the beginning of the game, and five additional towers can be purchased with NC Cash. This guide will only cover the free towers. This is the standard tower. While the weakest and cheapest, they can be very effective if utilized correctly. In addition to being the cheapest the purchase, they are also the cheapest to upgrade. While an upgraded Wooden Tower is less powerful than some of the others, it is relatively fast and can help suppress the raid. Faster than a Wooden Tower, the Rapid-Fire Tower is useful for whittling down the last little chunk of a raider's hit points. Wooden Towers and Rapid-Fire towers seem to be more effective when placed near slow-moving, powerful towers like the Catapult. The large tower deals massive damage and the Rapid-Fire serves to finish the job. This little number lacks in range and speed, but delivers a powerful strike. The basic Catapult tower is capable of destroying the weakest enemies in a single hit. 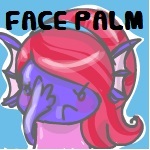 (Drackonacks for Meridell, Village Militia for Darigan.) A personal strategy of mine has been to place two fully-upgraded Catapult towers at the very beginning of the level and line the rest of the path with other towers. This chilly weapon, in addition to being festive, has a nasty little effect. The freezing snow and ice combo slows enemies down and makes them easier targets for your other towers. This is especially useful against speedsters. Eventually this hinderance will wear off, however, so don't let your guard down just because an enemy is slowed. The most expensive 'free' tower, the Ranged Tower might not even be used on occasion. These massive crossbows are effective against fliers(explained later). This tower is extremely weak when it comes to ground-bound enemies, so it should be saved for those times when you need an extra hand to take out the eye in the sky. Now, onto the bad guys. Your job is to keep them away. While the exact design and name of the enemy depends on your faction, the enemies can generally be split into a few different categories. Drackonacks and the Peasant Militia are the foot soldiers of the opposing faction. They have fairly low health and an average movement speed. Draik Sentinels and Draik Skeletons are slightly tougher versions of the standard foe. They walk at the same general speed but can take more of a beating. There aren't specific strategies for these normal enemies, as they are extremely nonspecific. They give a low payout when compared to other enemies, but are very easy to defend against. If you fight for Darigan, you'll be watching out for the Quiggle Runners. Fighters for Meridell have the Darigan Elementals to deal with. Whatever faction you support, be careful of these swift-footed little devils. These enemies take quite a bit of damage and are weaker to tower attacks, but their rushing tactic makes them hard for slower towers to hit and a deceptive danger. Some will be unlucky enough to be caught in the crossfire of a heavy-hitting, slow-moving tower like the Catapult, but others are able to speed out of range in enough time to avoid damage. This is where the weaker, faster towers come in. If you've lined the middle of the path with Wooden and Rapid-Fire towers, you can take advantage of the fragility of this enemy. Depending on faction, you'll either be facing down a Giant Turtum or a War Machine. The polar opposite of the speedster, the tank moves extremely slowly and can take quite a beating before going down. A big beginning and a big finish is important. 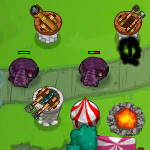 Placing the powerful towers towards the front will take care of a large portion of the tank's health, while the weaker towers serve to whittle the rest of their health down. Finishing with a bang is important, as a heavy hitting tower placed towards the end of the path can eliminate the stubborn tanks that your initial assault missed. Danger from above! A flier, such as an Eyrie Guard or a Quiggle Scout, does not follow the path created by the towers. Instead, they fly in a straight line, directly towards the end of the path. Their health and speed are generally average, but this is where having a fairly straight path comes in handy. Unfortunately for the fliers, flying in a direct line over the path will put them in range of all your towers, if you stuck to the middle. They are very susceptible to the ordinarily-weak Ranged Tower, so keep that in mind. In levels with a difficulty above easy, you might see a raider come and attack your tower. This nasty little vandal doesn't go down the path with the others, and instead channels the historical Vandals by laying waste to your towers. Morguss appears to be working her nasty magic on the Meridell Towers, while Darigan has to deal with a blue knight. These vandals go for your towers in a line, attacking the closest one and progressing to the next closest and so on. Spending NC on a Decoy Tower can distract these little guys, but if you're short on funds, you'll want to make sure your towers are in clusters. Clusters of towers can quickly gang up on a vandal and make short work of them. There is a hidden danger to these enemies, as when a vandal attacks a tower, all towers in range will focus on that particular raider, allowing others to pass by. If you narrowly miss losing a round, upgrade or place more towers. A near-miss means there's a weak spot in your tower gauntlet. I find it extremely helpful to not stray off a straight path. Flying enemies go directly from one side to the other, so it's helpful to keep your towers in that area. Try not to spend all your in-game money unless you absolutely have to. Being able to purchase another tower is extremely important. Upgrade, upgrade, upgrade! While you might be thinking that you should put as many towers as possible, save money for upgrades. It's cheaper than purchasing a new tower. Come up with your own strategy through practice. Above all, keep your eye on the action. Letting your guard down is just what the enemy wants you to do. Always remember, the best offense is a good defense.